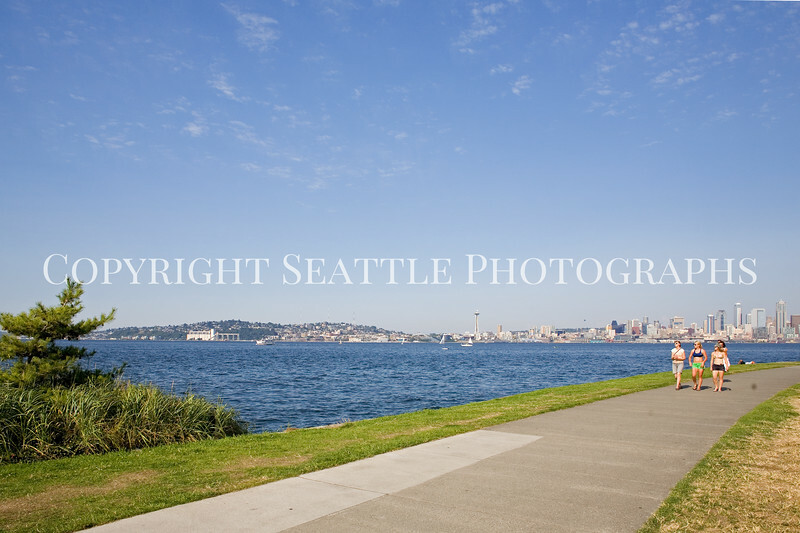 Alki Beach is the longest and most popular beach in Seattle. During the summer months it is a mecca for sunbathers and people who enjoy cycling, inline skating, volleyball, jogging, or just strolling along the ocean. It is also one of the best places to get a waterfront view of downtown Seattle or to watch the ferry boats and cruise ships pass by. All pictures are available as fine art prints or digital stock photos. Fine Art Prints Prints can be ordered as prints only, on canvas, on metal, or traditionally framed and matted with wood frames. Digital Stock Photo Downloads can be licensed for personal or business use.